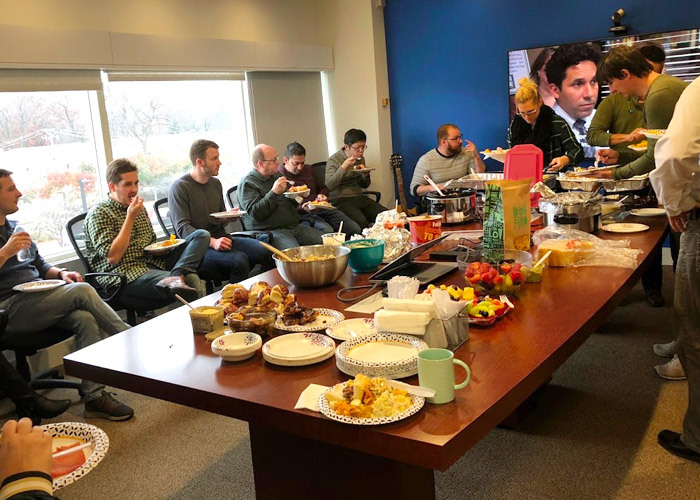 Our First Ever Thanksgiving Potluck Lunch – A Savory Time! 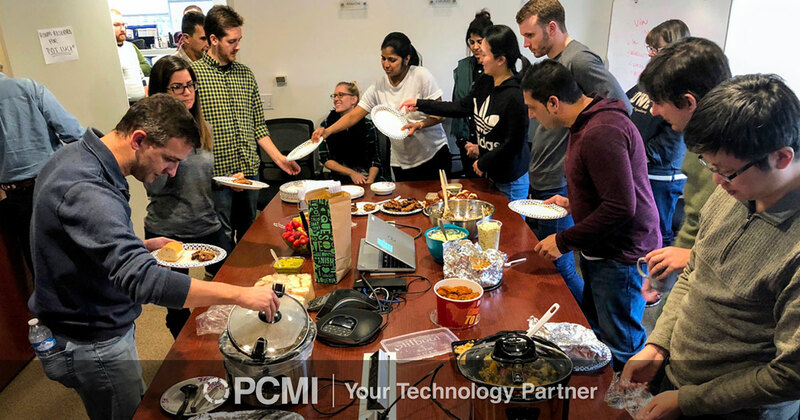 L ast week, the PCMI Chicago office celebrated all that we are thankful for by hosting our first ever Thanksgiving Potluck lunch. 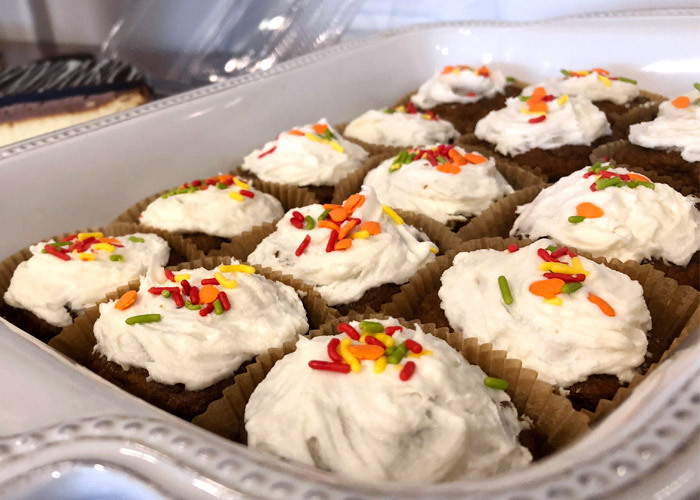 Throughout the morning on Friday, November 16th, team members began delivering their homemade or store-bought food to the kitchen in anticipation for lunch. The team was excited to show off their cooking skills, bring in sweet treats, and share favorite recipes from their culture. Since almost every single PCMIer brought something in to share, we actually ran out of room in the fridge! 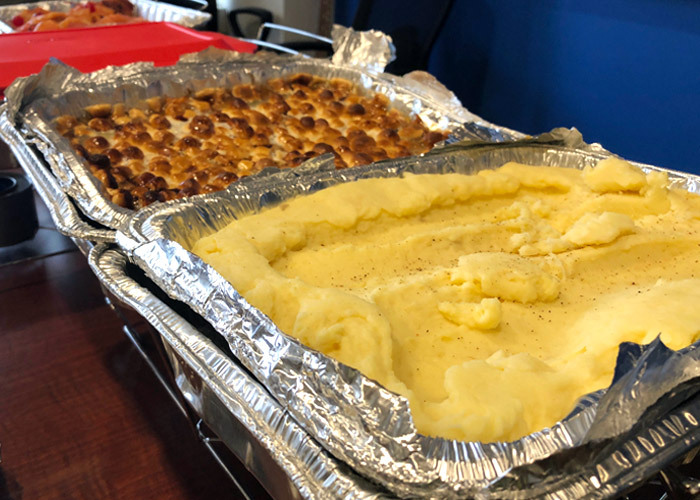 When the potluck lunch was served, there was a wide variety of choices ranging from main dishes, side dishes, desserts, and much more! There was also a mix of traditional Thanksgiving dishes and cultural dishes. The potluck was like a food melting pot, with Polish, Indian, Russian, Italian, Asian, and American dishes all being present. Everyone stepped out of their comfort zone in order to try new things and gain new experiences. 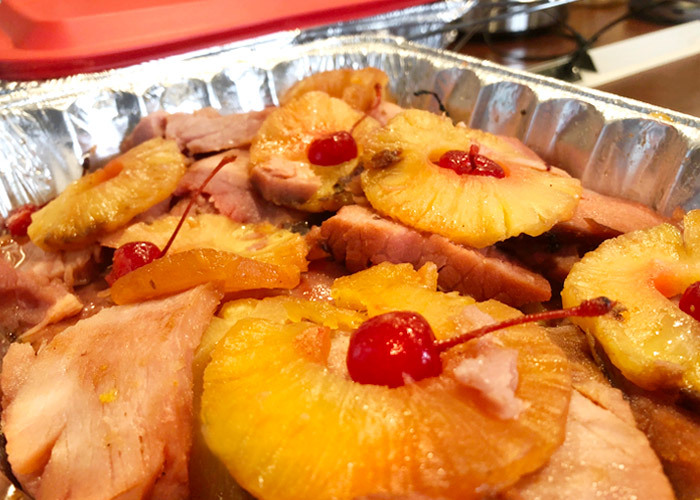 Our main dishes included ham, an Italian sausage, potatoes, onions, and peppers dish or “giambotta”, perogies, vegan shepard’s pie, Italian beef sandwiches, and grilled and fried chicken. The main dishes were accompanied by a variety of delicious side dishes such as rice casserole with sausage & mushrooms, mashed potatoes, Russian pancakes or “blini”, sweet potato pie, chopped Asian salad, Russian “olivye” salad, samosas, potato salad, Polish potato dumplings or “kopytka”, and sautéed veggies. There were also a few other options such as fruit, pretzel rolls, chips and guacamole. To cap off the festive event, for those with a sweet tooth, there were plenty of desserts to go around as well! For desserts we had Indian ice cream, apple pie, pumpkin pie, cheesecake, krullers, and pumpkin ginger cupcakes. While enjoying the delicious and filling meal, everyone sat down and laughed while watching a couple episodes of the show, The Office! The Thanksgiving Potluck was a huge success that brought us together to enjoy great food and laughs. A special thank you to all who contributed to the potluck lunch. We are already looking forward to the array of dishes we will get to try next year! PCMI Corporation offers a modular package of software solutions for the administration of F&I Products, Service Contracts, and Extended Warranties. © 2019 PCMI Corporation. 1030 W Higgins Rd., Ste 305, Park Ridge, IL 60068 U.S.